Did Face Painting At Legoland Result In A Major Skin Rash? Imagine bringing your son to Legoland for a fun happy time. The boy gets his face painted by one of the employees. He begins complaining about a burning itchy sensation on his face. You, as his parent, bring him to the doctor after the condition persists. The boy is given medication for the allergic reaction. The rash continues to persist. He begins developing dark spots and discoloration on the skin of his face. The child is again given medication and diagnosed with eczema based on how aggressively the rash spread. After twenty-three months, numerous visits to the doctor, and myriad treatments, the rash still hasn’t gone away. In fact, it’s gotten worse. The doctor calls for a second opinion, but no one is sure how the rash started in the first place. Such was the case of one Florida mom who recalled that her son had his face painted around the same time the rash began to present. Now she has filed a personal injury lawsuit against Legoland alleging that they are responsible for her son’s medical bills, pain and suffering, and emotional distress. Her son has been the target of bullying at school. The other kids refer to him as raccoon because of the skin discoloration. Duty. The defendant has a duty of care or conduct. Breach. Either by action or inaction, they failed that duty. Injury. An injury resulted as the effect of the breach. That there was an injury involved in this case, there can be no real doubt. The question still remains: how did it happen? For instance, let’s assume that the child had a severe allergic reaction to the face paint. It could be successfully argued that the defendants (Legoland) had a duty to warn parents about the potential for developing skin rashes in the case that certain allergies were present. Another possibility is that the paint had become tainted with some toxic agent. Since this happened two years ago, testing the paint will be impossible. The fact that the “eczema” didn’t respond to treatment may be an indication that it isn’t eczema at all. In this case, the plaintiff will have to posit some theory as to what exactly happened. The third possibility, of course, is that the paint had nothing to do with the boy’s skin reaction. This is unlikely, however, given that it appears to have occurred shortly after the face paint was applied. There are, however, a couple of things working against the plaintiffs. 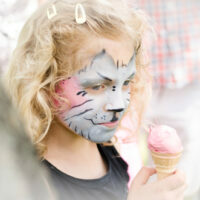 Firstly, no one else seems to have been bothered by the face paint. If the boy suffered an extremely rare allergic reaction to the face paint, how could Legoland have known that was a possible result? In order to prove negligence, the plaintiff must be able to show that the situation was avoidable. In this case, it may not have been. Have You Suffered an Injury Because of Someone Else’s Negligence? If so, you’re entitled to damages. Don’t hesitate to contact us at the office of Alan Goldfarb, P.A in Miami and we’ll begin working on your case.